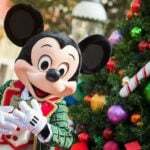 Walt Disney World creates magic year round, but there’s something special about the parks during the holidays. This year, for the first time ever, guests will get to experience the holiday season in Andy’s backyard with their favorite Toy Story characters, who will be dressed in their holiday best. Disney Parks Blog shared a look at Woody, Jessie and Buzz, as guests will see them this holiday season. Woody will wear a holiday vest with a Christmas tree and presents, as well as a candy cane accessory for his holster. Jessie will also be seen in a red holiday vest trimmed in a peppermint pattern. Buzz will add a sparkly Santa hat to his iconic ensemble. Toy Story Land will also be made over for the holiday season with decorations including oversized cranberry-and-popcorn garland, a holiday card “selfie” of Toy Story pals, an oversized Hamm sugar cookie, Green Alien ornaments and more. Special holiday songs will also be added to Alien Swirling Saucers. Disney Parks Blog also shared a video providing a look at the Toy Story pals in their holiday outfits. Guests will meet Santa at the Once Upon a Time shop November 10th-December 24th, and Santa Goofy after he steps in December 25th. 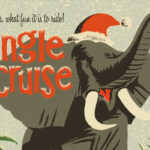 All the magic of the holiday season will come to Walt Disney World Resort beginning November 8. 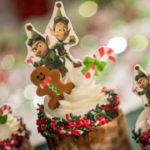 You can check out all of the holiday offerings coming to Walt Disney World Resort here.